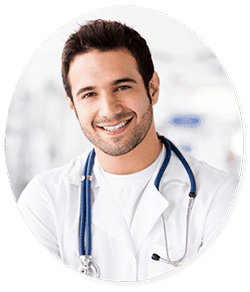 How to Choose Your Hair Transplant Surgeon? If you are moving towards baldness then your first choice would be getting a hair transplant surgery. First of all, you need to understand what baldness is. If you are losing more than a hundred hair strands in a day then you are at a high risk of losing all hair. In such situation, you need to consult your doctor and ask him regarding hair transplant treatment. Hence, before moving forward, you need to know the ways through which you can choose right hair transplant surgeon. Continue reading to know more! You should inquire about the certification of your surgeon. According to experts, you need to select a board-certified surgeon if you really want to achieve best results. Knowing the certification of your doctor will allow you to know his training and skills. In addition to it, you will know that he is able to execute a specific treatment process. If it becomes difficult for you to decide, you may ask for referrals. Your surgeon can provide you the contact of one or more trustworthy customers. In addition to it, you can ask any of your friends to recommend a reputable hair transplant surgeon to you. A reputable surgeon will always assist you through face to face consultation. Here, at DCS, we are providing a FREE consultation. During this session, our expert surgeon will respond your queries and provide you the required information. We support and provide individual consultation to every patient. Another technique that can assist you in making your decision is to get help from before & after pictures. This is one of the most appreciating ways to check the art of your doctor. These pictures can easily allow you to know the expertise of your surgeon. Also, you can check the testimonials of your surgeon. You can easily track them on the official website of the doctor or affiliated hospital. Another aspect that is really important to know is the follow-up care plan. It is necessary to make a proper plan as aftercare is really important to monitor. It allows both doctor and the patient to know the progress of treatment. Also, it provides the surety to the patient that doctor does care for his health. Another important aspect that you cannot deny is the price. You should know the hair transplant cost of your surgeon and compare it with the cost demanded by other doctors. However, the cost is not the sole aspect to make your decision, but you need to compare other important aspects, as well. Usually, low price means unhygienic clinics and inexperienced doctors. Well, here at DCS, we are providing our quality and trustworthy treatments at affordable rates. The above-mentioned factors will be helpful for you in making your decision. You should get the procedure to enhance your quality of life. So, don’t decide by viewing things from others’ viewpoints. You have an amazing chance to consult with our experts for FREE of cost. All you require is to fill the following form and one of our experts will get back to you. Good luck!